Classic Eggplants are glossy, elongated oval shaped with a black-purple color. 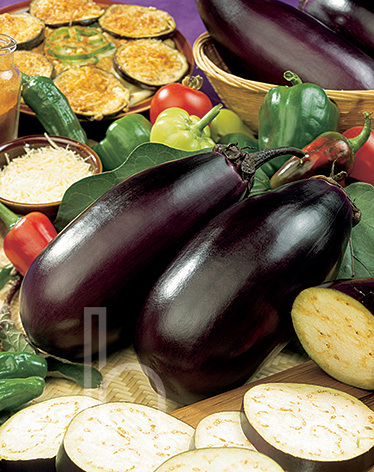 Eggplants produce an egg-shaped, purple or long, green fruit that is 6-9 inches long. At harvest, fruit should be large, shiny and uniform in color. When the side of the fruit is pressed slightly with thumbnail and an indentation remains, the fruit is ripe.